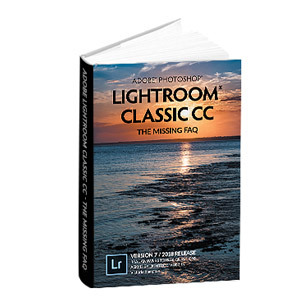 Lightroom Classic Tutorials > Editing Photos > Should you use Lightroom Develop presets? A few days ago I updated the list of free and paid Develop preset downloads, and spent some time experimenting with some of the downloaded presets. Like most things, presets have pros and cons. Applying a preset is an easy way to try a variety of different settings, to decide what style you like or what suits the photo. They can help you learn how to create a specific look, for example, emulating a specific type of film or creating a special effect. If you’re working with a set of photos, it’s also a quick way to get a consistent result. On the other hand, badly written presets can create more trouble than they’re worth. Presets just move sliders to preset positions. If the preset creator has included all of the checkboxes when creating it, the preset can override any adjustments (i.e. Exposure) that you’ve already made to the photo, forcing you to go back and edit the photo again. The best presets only adjust specific sliders — ideally sliders that you wouldn’t have already adjusted. For the best of both worlds, you can use a preset as a starting point. Check which sliders have been used to get that result, and then edit the settings to your own taste. If you like the result, you can save it as a new preset to apply to future photos. If you’re installing presets from a single folder, the automatic method is quick and easy. If you’re installing lots of presets in one go, perhaps because you’ve downloaded a whole set that are organized into multiple folders, then the manual installation may be quicker. Unzip the presets if they’re zipped. Go to Develop module Presets panel, right-click the User Presets folder and choose Import. Navigate to the folder of presets, select them and press the Import button. Find the Develop Presets folder in Explorer (Windows) / Finder (Mac) by going to Preferences > Presets panel and pressing the Show Lightroom Presets Folder button. Drag the presets into that folder, still in their folders if you’d like to keep them organized in the same way. If you want to preview a preset, float your cursor over the presets in the Presets panel. The small Navigator preview above updates with your preset settings, allowing you to easily find the effect you’re looking for. To apply your chosen preset to the photo, just click on the preset in the Presets panel. What are your favorite presets? Great tip Unklejon, I’ve added his to my preset list, thanks. Interesting comment from Serge Ramelli podcast last week and I quote ” I am coming to rely on Lightroom more and more and less on Photoshop”. I think I have to agree with him. As for the purists using only their own presets – good on you if you have the time to experiment and get them most out of the product – but just think of the endless possibilities you may be missing by sticking to the tried and tested – I don’t just use other peoples presets mindlessly – I study them – I explore them and I push them even further. they provide an insight into the real power of LR, they take it places I would not dream of – so why reinvent the wheel based on guess work when for a couple of pounds sterling you can see what the real experts can make the product do and learn from them – that’s the way great painting developed over the ages copy the style of the masters and develop it… its the cheapest form of LR training I can think of beside youtube…. I should imagine if you are at all like me you will read avidly about new workflows or LR new functions in the forums and blogs, You would not think of simply staying with what you know for comfort – I listen and learn from experts like Victoria and company so what’s different with presets? After purchasing some I decided that was not worth it to pay for them. I hardly use them. Free presets are as good as any purchased presets. I like Matt Koklowski’s Sports Game Day Presets for my som’s soccer pics and his Big Sky presets to bring out clouds, ILP Soulshine Silver Bells is my favorite b&w, Preset Heaven P365-181 is great to add subtle color to rainy/cloudy day pics. They are all free. It is easy enough to make your own as long as you follow the suggestions above so as not to overwrite previous edits. I’ve bought some that didn’t address that issue and I corrected it myself with creating a new preset from them. Yeah, there’s some great freebies around. I have the set offered by SLR Lounge. They are very well organized and easy to use. Having said that, I rarely use them beyond my initial import. Somehow it’s still more fun to use Photoshop and Nik or OnOne plugins. Do you have a preference between Nik and OnOne? I use only my own presets for small tweaks: camera profiles (I use Replichrome profiles), base curves, toning, vignetting, etc. Good choice on the presets for profiles. I created a set of extreme white balance profiles for odd lighting situations a year or so ago, and the presets were handy for deciding which was closest. I’m with the folks that only use their own presets. I never understood paying for other people’s presets to make my images look like theirs and everyone else’s that also bought the same presets. That’s certainly true about some of the effects. I’ve seen some of the vintage ones on loads of wedding photographer’s websites, before they started to go out of fashion again. I use my own presets but don’t use others anymore. I do think they are a good learning tool when you start digital photography. They can show you the possibilities of the application and give you ideas. Very true Nik, they are particularly good when you’re getting started. I have a number of presets, but for the most part I hardly use them. LR has quite a number of different presets, and here I’m referring to Develop presets specifically. Sometimes, if I’m looking for an idea on what to do with an image I’ll do a quick run through some presets for an idea. 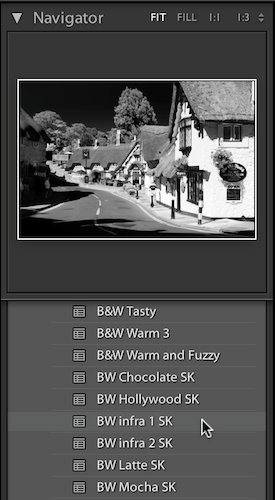 There are a few that I use often – like White Balance presets for example, and some of the Adjustment Brush presets…. One quick tip for presets, however, is that when you make or update a preset LR will open a window that gives you the option to select which sliders the presets will affect. My suggestion is that you use the Uncheck All button, and then select ONLY the sliders that preset will affect. Otherwise you may find unintended consequences. For example, let’s say that you reset all of the Develop sliders to their default positions and then move one of them – set Sharpening at 40% in this case. You save your preset but you leave all of the option boxes checked. 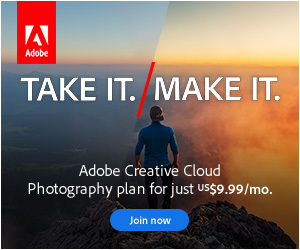 Now, you go through and process your image, adjusting Exposure, Contrast, Highlights, Shadows, Whites, Blacks, Clarity, adding a Tone Curve and doing a little split toning. Rather than setting the Sharpening manually, you add the Sharpening preset you just created. What LR will do – because you kept all of the boxes checked when you created the preset – is reset ALL of the sliders to their default positions and set Sharpening to 40%. That’s an extreme example, but if you’re not aware of how presets work, applying a preset for split-toning can end up changing your Contrast level or White Balance if you’re not careful. 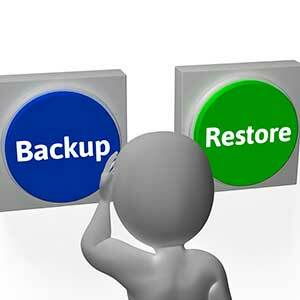 Fortunately, Ctrl/Cmd-Z will back you up one step and you can regain all of your hard work.